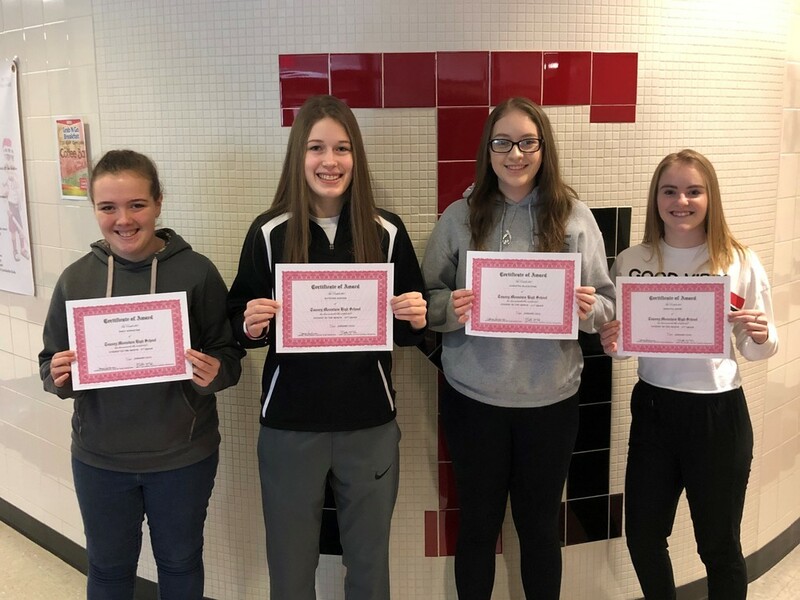 The following students from Tussey Mountain High School have been nominated by the faculty and staff for January’s Student of the Month. Students are nominated for positive contributions to the school, personal improvements, and/or accomplishments. From left to right: Emily Hoenstine is in 9th grade and is the daughter of Doak and Brenda Hoenstine of James Creek, Katelynn Hoover is in 10th grade and is the daughter of Adam and Barbara Hoover of Saxton, Samantha Blackstone is in 11th grade and is the daughter of Sam and Deb Blackstone of Hopewell, and Makayla Swope is in 12th grade and is the daughter of Stephanie Swope of Six Mile Run.